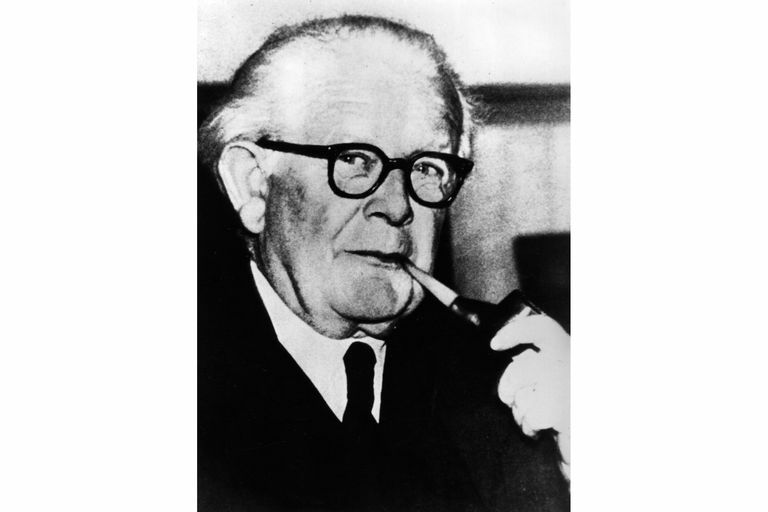 Jean Piaget was a Swiss developmental psychologist and genetic epistemologist. Through his studies of his own three children, Piaget developed a theory of cognitive development that described a series of stages of intellectual development that children go through as they mature. Prior to Piaget, people tended to think of children as simply small versions of adults. His work introduced the idea that children's thinking was fundamentally different than that of adults. "What the genetic epistemology proposes is discovering the roots of the different varieties of knowledge, since its elementary forms, following to the next levels, including also the scientific knowledge." "The fundamental hypothesis of genetic epistemology is that there is a parallelism between the progress made in the logical and rational organization of knowledge and the corresponding formative psychological processes. With that hypothesis, the most fruitful, most obvious field of study would be the reconstituting of human history—the history of human thinking in prehistoric man. Unfortunately, we are not very well informed in the psychology of primitive man, but there are children all around us, and it is in studying children that we have the best chance of studying the development of logical knowledge, physical knowledge, and so forth." "The principal goal of education is to create men who are capable of doing new things, not simply of repeating what other generations have done—men who are creative, inventive, and discoverers. The second goal of education is to form minds which can be critical, can verify, and not accept everything they are offered." "Children have real understanding only of that which they invent themselves, and each time that we try to teach them something too quickly, we keep them from reinventing it themselves." "Chance... in the accommodation peculiar to sensorimotor intelligence, plays the same role as in scientific discovery. It is only useful to the genius and its revelations remain meaningless to the unskilled. "Every acquisition of accommodation becomes material for assimilation, but assimilation always resists new accommodations." "Knowing reality means constructing systems of transformations that correspond, more or less adequately, to reality. They are more or less isomorphic to transformations of reality. The transformational structures of which knowledge consists are not copies of the transformations in reality; they are simply possible isomorphic models among which experience can enable us to choose. Knowledge, then, is a system of transformations that become progressively adequate." "If a baby really has no awareness of himself and is totally thing-directed and at the same time all his states of mind are projected onto things, our second paradox makes sense: on the one hand, thought in babies can be viewed as pure accommodation or exploratory movements, but on the other this very same thought is only one, long, completely autistic waking dream." "Mixture of assimilation to earlier schemas and adaptation to the actual conditions of the situation is what defines motor intelligence. But — and this is where rules come into existence — as soon as a balance is established between adaptation and assimilation, the course of conduct adopted becomes crystallized and ritualized. New schemas are even established which the child looks for and retains with care, as though they were obligatory or charged with efficacy." "The relations between parents and children are certainly not only those of constraint. There is spontaneous mutual affection, which from the first prompts the child to acts of generosity and even of self-sacrifice, to very touching demonstrations which are in no way prescribed. And here no doubt is the starting point for that morality of good which we shall see developing alongside of the morality of right or duty, and which in some persons completely replaces it." "Furthermore, intelligence itself does not consist of an isolated and sharply differentiated class of cognitive processes. It is not, properly speaking, one form of structuring among others; it is the form of equilibrium towards which all the structures arise out of perception, habit and elementary sensori-motor mechanisms tend."